The pharmacy business is no longer just about selling prescriptions. Today�s pharmacies are increasingly dependent on their front-of-store retail operations to maintain margins, fuel growth, and � of perhaps greatest importance � meet the growing expectations of their customers. Retail is a highly specialized discipline that�s significantly different from your prescription business. Pharmacy chains and big boxes have spent millions perfecting retail methods and practices that allow them to operate efficiently, market effectively, manage their assets, and create a very positive customer experience. Fortunately for you, so has Epicor®. 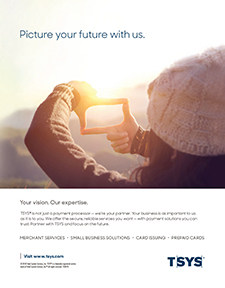 Discover Epicor Eagle®, a leading point of sale and retail business management solution proven to give independent pharmacies the specialized capabilities and advantages needed to compete, thrive, and grow in today�s demanding retail environment. Create a superior customer experience. With features like high-speed credit card processing and electronic signature capture, Epicor's state-of-the-art POS solutions enable you to provide fast, efficient and secure checkout. With Epicor Mobile POS, you can take the cash register into the aisles and right to the customer. At the drive-thru window, with Eagle you can capture payment, accept signatures, and provide a receipt without the customer getting out of their vehicle. With deliveries, you can do full checkout, accept signatures, and email the receipt to the customer. Our software provides a true real-time solution enabling you to fully comply with HIPAA and other government requirements. It also ties to the SIGIS approved database and is fully IIAS compliant, allowing you to accept FSA and HAS debit cards, along with major credit and debit cards. The Eagle Gift Card and Loyalty program software lets you reward your regular customers while collecting valuable data for a wide range of marketing activities to drive store traffic. Epicor�s Gift Card Mall integration with InComm, one of the largest providers of Gift Cards, allows you to add margin opportunities at minimal cost. Automate, integrate and streamline your business. Our wireless mobile handhelds make it fast and easy to perform physical inventories and update system pricing from the store floor. Mobile Manager gives you quick, any-time access to inventory, sales, customer information, and more. Epicor integrates sales, inventory, purchasing and receiving across multiple stores to improve efficiencies, and cut costs. Manage your assets to maximize your profits. Customizable "dashboards" feed to you a continuous, real-time overview of your business' performance, with the power to instantly drill down to any level of detail. Eagle can automatically track your inventory and alert you when it's time to reorder so you avoid stock outs. 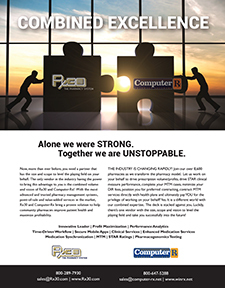 And with Epicor, you never have to go it alone. With nearly 40 years of experience delivering true best-of-breed retail solutions to over 20,000 customers, there is not a more trusted partner to help you take your pharmacy to the next level. Epicor offers a comprehensive range of unique consulting, training and support services. Bottom line? Epicor will help your entire business run more smoothly and give you greater access to information and increased control over operations, expenses, and profits. We welcome the opportunity to meet with you and explore how our leading retail solutions can help you build a smarter pharmacy. 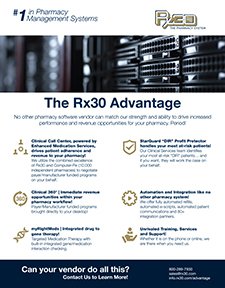 The Rx30 Pharmacy System provides your pharmacy incomparable Prescription Filling, Nursing Home, Consulting, Accounts Receivable, Workflow Management, Signature Capture, IV processing, Compounding, Integrated POS Solutions and an abundance of value-added vendor interfaces to provide you a total turnkey dispensing solution. 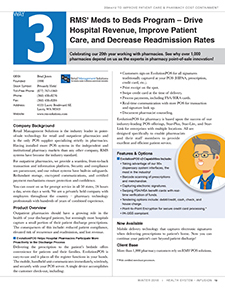 Whether you are a small independent start-up filling 30 prescriptions a day or a 100+ independent chain operation filling 1500 prescriptions a day - Rx30 is the perfect solution! 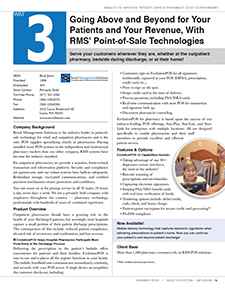 The Rx30 Point of Sale System is designed for our customers that desire seamless product integration to the Rx30 Pharmacy Management System, complete two-way data communication, FSA/CC ready functionality, Total management of pharmacy Rx/OTC product lines, and provides the satisfying comfort of knowing that you are supported by a single source vendor that is committed to the service and support of it all! Better yet, you will be thrilled to find that you can finally have an integrated Point of Sale System at the price that you�ve been wanting for so long! Through the years, you've trusted Rx30 to produce the best. 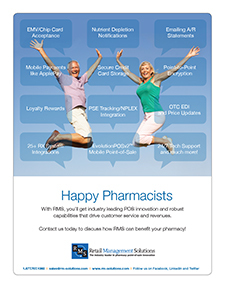 Now, with the addition of our NEW Rx30 POS, you�ll see that we�ve once again delivered, and delivered at a price that truly makes sense for your Independent Pharmacy!! 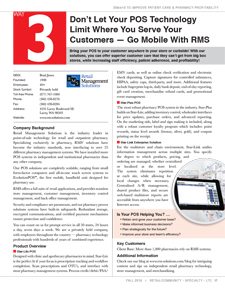 Prescription processing is the heart of Rx30's Pharmacy Management Software. Rx30's tremendous growth over the past several years is attributed to a well coordinated blend of independent pharmacist input and unparalleled programming expertise. Having the concept of how it should ideally function is important, but also making it smoothly operate in the reality of a hectic work environment - is critical to your needs. 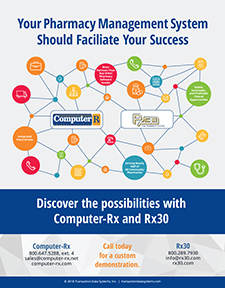 Rx30 has created a proven, successful balance of coordinating Pharmacist expertise with programming know-how to create a Pharmacy Management System that is extremely efficient, powerful, user-friendly, and yet extremely adaptable to the continual change in market demands! 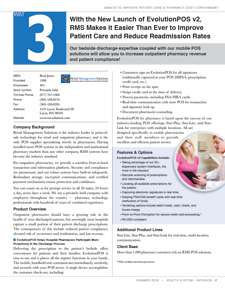 You'll simply love how Rx30 functions in your pharmacy!! 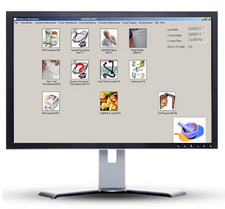 Rx30's Pharmacy Management System contains all of the complex tools required of today's pharmacist. 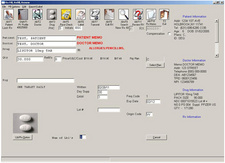 From refilling prescriptions in seconds, to being alerted and guided through drug interactions, duplicate therapies and allergies, or giving you the ability to scan in the hard copy prescription, track workflow, instantly find Dr. NPI/DEA information, print built-in Medication Guides, view internal Facts & Comparisons, reconcile EOB's electronically, send outbound compliance emails, adjudicate claims in 1-3 seconds, and in the very near future - receive Dr. faxes into Rx30 as internal images! 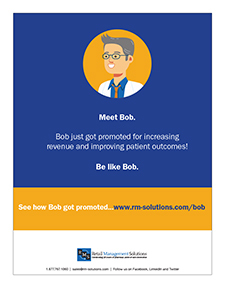 It�s not hard to see that this in not your ordinary Pharmacy Management System! 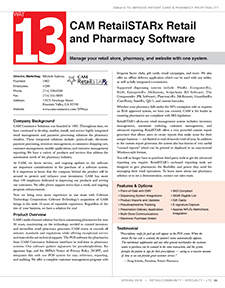 Rx30 Pharmacy System and transaction data systems on software and fulfillment prescription process and point of sale software. interfaces that provide Prescription Filling, Nursing Home, Consulting, Accounts Receivable, Workflow Management, Signature Capture, IV processing, Compounding. 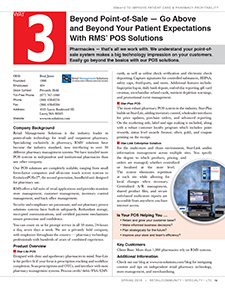 Integrated POS Solutions with Rx30 Point of Sale on POS integration to the Rx30 Pharmacy Management System. 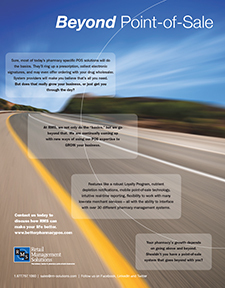 DATASCAN (DCS Pharmacy, Inc.) has been serving the needs of independent pharmacies for 30 years. 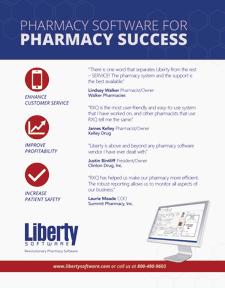 We provide both hardware and software solutions designed to help your pharmacy become more profitable and operate more efficiently. 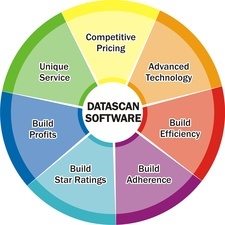 Datascan provides many products to aid owner/pharmacists to run their businesses in an efficient manner. We develop and maintain all of our software in-house, allowing us to make changes in a timely manner whether it involves new state or federal requirements or new features requested by our customers. What sets our Point of Sale system apart from our competition is the fact that it was written and designed here, in house, with independent pharmacies in mind. 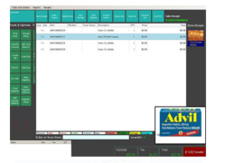 As with our WinPharm software, we are constantly improving on our POS software and making changes based off requests and feedback from our clients. Our full featured Point of Sale system integrates into our WinPharm application allowing to quick-add customers from the pharmacy database as well as auto download of co-pay due when scanning the RX at the checkout. WinPharm, Our primary product is used by hundreds of independent pharmacies and MD dispensaries around the country. We have clients that focus on long term care, managed care, and assisted living facilities that utilize our software to manage the needs of these facilities on a daily basis. WinPharm supports all of the latest technology from IVR systems for auto refills using your phone system, to E-scripts from doctors offices, robotic dispensing machines, electronic signature capture, Datascan Workflow, all the way to integrating with our proprietary point of sale software. Our software and the interfaces / add-ons built off of it offer all of the latest technology available to run your pharmacy or dispensary. If your current system is not serving your needs either technically or financially, contact us for a competitive quote. is designed to be easy-to-use so checkout flows smoothly, leaving you more time to focus on improving patient care. HIPAA signature requests are conveyed to cashiers when required. 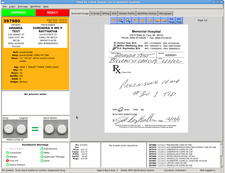 Depending on your Rx system, one signature can cover numerous requirements: acknowledge consultation, acceptance of easy-open caps, proof of pickup, etc. When the transaction is complete, all information is returned securely to your Rx system to protect patient privacy and keep your pharmacy compliant with government and insurance regulations. 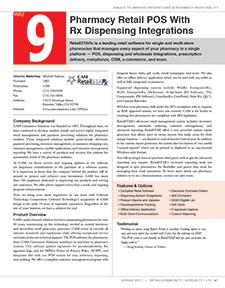 A built-in NPLEx integration allows Paladin to connect directly to the NPLEx database during checkout to track pseudoephedrine purchases, enforce purchase limits and signature requirements. Customer data captured during checkout is uploaded immediately to NPLEx from Paladin to save time and increase efficiency. SIGIS certification gives Paladin pharmacy point of sale the power to use the Inventory Information Approval System (IIAS) to automatically update your inventory to reflect changes made to the list of IRS-approved items that can be purchased with FSA/HRA cards. Purchases may be split between FSA/HRA cards, credit cards, and other forms of payment for added efficiency and faster checkout. A number of Rx software programs integrate with Paladin�s pharmacy point of sale to retrieve patient data and co-pay amounts. Cashiers can quickly verify that every patient is receiving the correct prescription and collect the proper amount at checkout. 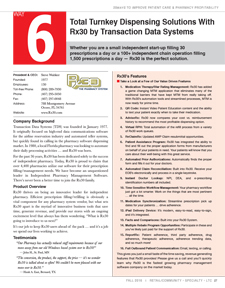 Rx wholesaler integrations allow Paladin to connect directly to many suppliers through electronic data transfer (EDI). Resupply your pharmacy with fewer steps while dramatically reducing errors. 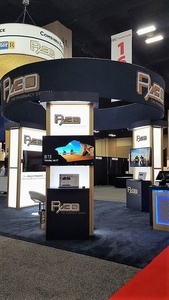 A user-friendly graphic display gives instant access to product availability, invoice history, and all functions needed to service customers quickly and efficiently. Minimal training is required to make new users productive. New cashiers can be ringing up transactions after as little as 15 minutes of instruction. 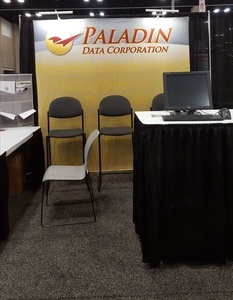 Paladin data systems on Point of Sale, POS. System is SIGIS_Certified and IIAS Compliant. Paladin Point of Sale, POS systems and Inventory Management Solutions. Electronic Integration With Wholesalers Electronic Signature Capture, Insurance Proof of Pick-Up. Electronic Tracking and Signature Capture For Federal "Stop-Meth" Program Items. 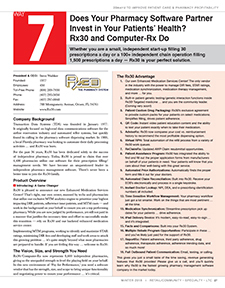 RetailSTAR Rx 10.1 for pharmacies now available! Whether your pharmacy falls under the 90% Exemption Rule or requires an IIAS approved system, we have you covered. 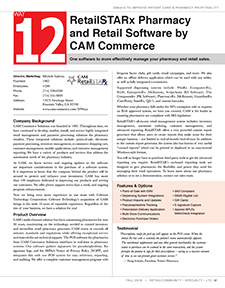 CAM is the leader in ensuring that pharmacies are compliant with the IRS legislation. You will no longer have to purchase third party tools to get the advanced reporting you require. 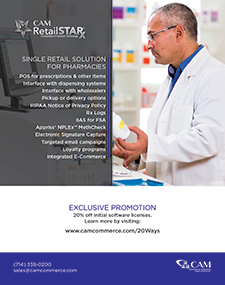 RetailStar�s on-board reporting tools are designed to give pharmacies the flexibility and power they need for managing their retail operations. We have the resources to provide exceptional products and services! 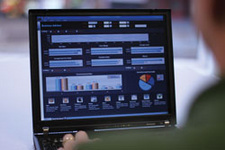 "Working on reports using the Report Writer is excellent. Creating reports is very easy and every report works well. I also love the ordering via EDI! 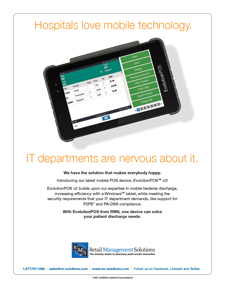 The POS screen is user friendly in RetailSTAR Rx 10.1 and my sales associates are very happy." 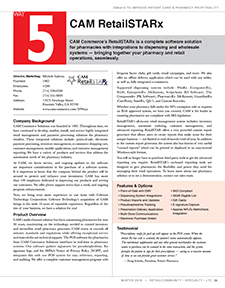 Learn how to automate your pharmacy store with one unique multi-channel solution! Click on the link below to visit our website or call today for your pharmacy demonstration. 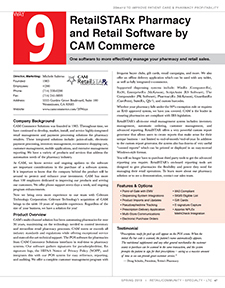 POS Systems and POS Software with CAM commerce solutions on Point of sale Inventory management Multistore communications. Automated purchase orders Wholesalers database loads and updates Integrated e-commerce Integrated credit card processing Automatic printing of coupons. Rental contracts HIPAA document electronic signature capture RX Log electronic signature capture Delivery Module e-invoices e-statements Pseudo ephedrine. Designed to provide independent pharmacies complete solutions for success in a competitive market, the flexTRAX Point of Sale offers affordability and efficiency. 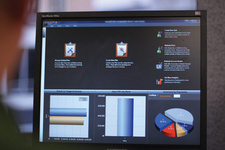 Reporting tools streamline business operations, accounting, and inventory management. Hassle-free automation and unlimited catalog imports ensure you have the most up-to-date information for your customers and your business. 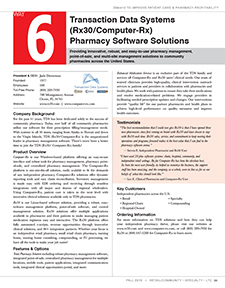 For complete business management solutions, a seamless pharmacy software interface is available with RxKey® and New Leaf Rx®; barcode interfaces are also available for most pharmacy management systems. 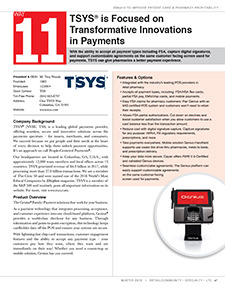 The first of its kind, the flexTRAX POS system is IIAS compliant for accepting FSA cards. 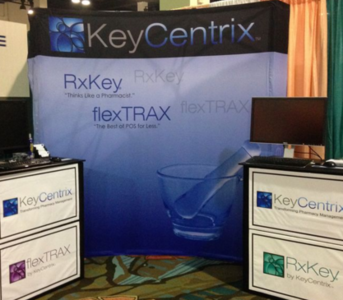 KeyCentrix delivers more than software � contact us today for an interactive flexTRAX demo or to learn more. 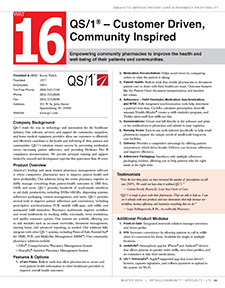 QS/1®�s Point-of-Sale Provides a Storewide Retail Management Solution. 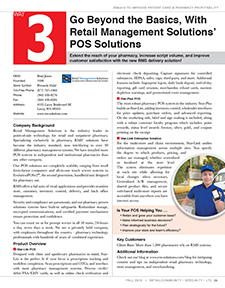 QS/1�s POS system handles electronic signature capture for credit cards, accounts receivable, HIPAA, third-party prescriptions, counseling and safety caps. It also easily manages customer loyalty and promotional programs. 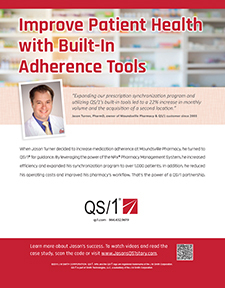 When integrated with QS/1�s Pharmacy Management Systems, prescriptions are automatically removed from the pharmacy Workflow queue when they are picked up. 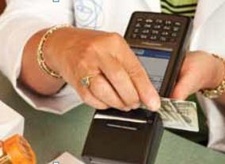 The POS will also alert cashiers if a customer has another prescription ready for pick up. 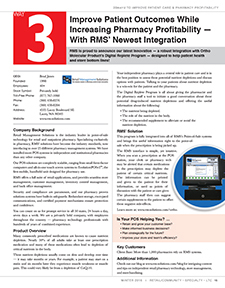 QS/1�s Remote Checkout system provides complete POS capabilities utilizing a wireless environment. 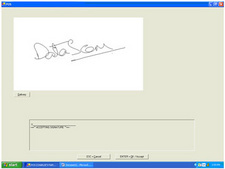 capture signatures for PSE and HIPAA as well as credit cards, scan the prescription label and print a receipt. Within the pharmacy, you can use it as an extra register during peak times. The focus of a pharmacist has always been to help people. You need tools that ensure dispensing errors are caught before the medication is delivered to the patient and at the same time make sure that the workflow in the pharmacy contributes to the pharmacy�s efficiency and productivity to ultimately do what you had wanted to do in the first place� HELP your PATIENTS. 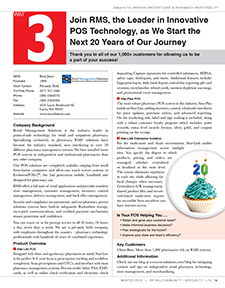 For over 25 years, Micro Merchant Systems has provided solutions to independent pharmacies. 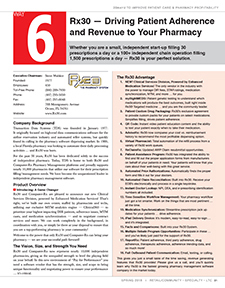 Micro Merchant Systems Inc, over the years has been working hand in hand with pharmacies and helping them cut down costs and improve productivity. 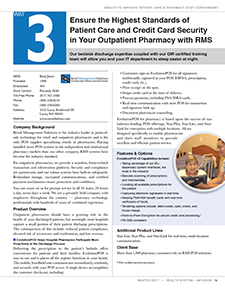 All MMS products have been designed with extensive input from pharmacists and utilizing the latest and advanced technologies like Microsoft® .net and SQL relational database technologies. Our products are fully secure and comply with HIPAA standards. 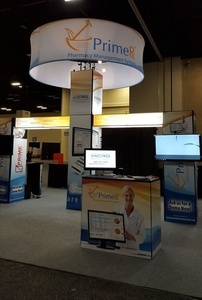 PrimeRx: PrimeRx, our core product, is absolutely essential to every pharmacy! PrimeRx uniquely combines its user friendly features with the support of the Windows backbone. This strong combination generates a program that is not only aesthetic and appealing in its design, but is also easily manageable at all skill levels. PrimePOS: PrimePOS is our state of the art Point of Sale system which ascertains rapid and precise customer check-outs. 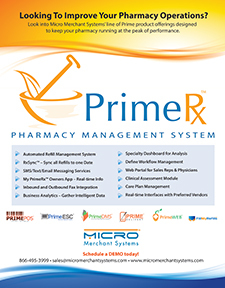 In addition, PrimePOS fully integrates with PrimeRx, our pharmacy software. Individually, each program is great but their partnership is exceptional! It empowers you to manage your inventory more efficiently, keeps in house thefts in check and provides complete accountability of daily operations. PrimeDMS: PrimeDMS (Document Management System) is a comprehensive process that allows you to scan Rx, Patients ID cards, Insurance Statements, Letters from Doctors, Drug Manufacturers and basically everything that is paper in to a digital image that is then stored and attached to its respective records. PrimeDelivery: PrimeDelivery provides a very efficient and robust solution for managing patient deliveries. PrimeDelivery increases the accuracy and efficiency in the workflow of the pharmacy. It consists of two modules (In House and Wireless) so that the pharmacies can choose either one of the modules or use them both together for maximum effectiveness. PrimeWeb: Recently, the Internet Expansion has broken boundaries by making the entire World accessible with just a mouse click. Therefore, PrimeWeb has taken this concept and applied it to Healthcare by bringing Patients, Doctors, Health Facilities and Pharmacies closer than ever before. We help the pharmacies of today�become the pharmacies of tomorrow. 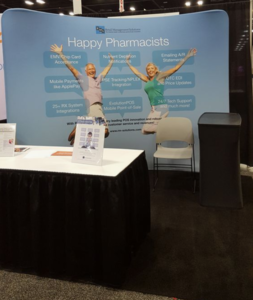 Total Pharmacy Integration... One Vendor! Since 1989, SRS Pharmacy Systems has focused on building pharmacy management software that helps community pharmacies operate more efficiently and accurately, keeping processes consistent, inventories low and profitability high. One System, One Vendor, One Call! Pharmacies gain because SRS doesn't outsource its technology. SRS directly develops, supports and services all core system, software and hardware. 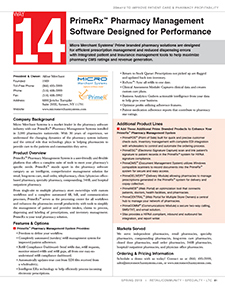 figured.SRS automatically maintains software drivers, system updates, security functions, and PBM requirements. Additionally, SRS pharmacies have a SINGLE SOURCE for all pharmacy support needs, allowing SRS pharmacies to focus on customer care and let SRS focus on computer system care! 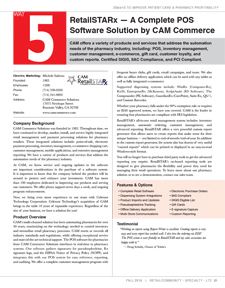 Integrated with the industry's leading POS providers in retail pharmacy. Accept all payment types. 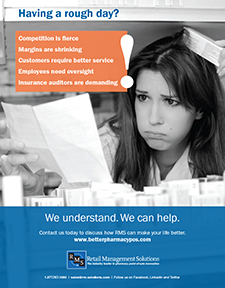 Including FSA/HSA flex cards, partial FSA pay, EMV/chip cards and mobile payments. 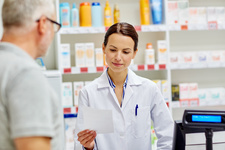 Easy FSA claims for pharmacy customers. 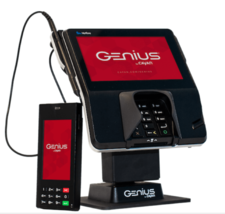 Paid Genius with an IIAS certified POS system and customers won't need to retain their receipts. Allows FSA partial authorizations. Cut down on declines and boost customer satisfaction when you allow customers to use a card balance less than the transaction amount. Reduce cost with digital signature capture. Capture signatures for any purpose; HIPPA, RX regulatory requirements, prescriptions, and more. Take payments everywhere. 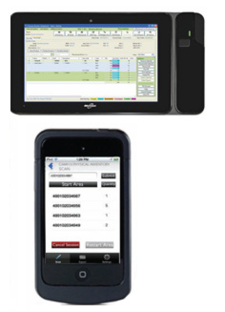 Mobile solution Genius Handheld supports use cases like drive-thru pharmacies, meds to beds, and prescription delivery. Keep your data more secure. Cayan offers P2PE 2.0-certified and validated Genius devices. Seamless customizable agreements. The Genius platform can easily support customizable agreements on the same customer-facing screen used for payments. Put the Genius of Cayan to work for your business. 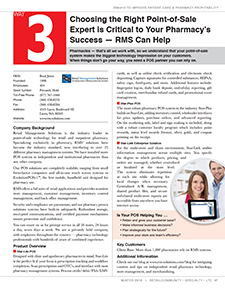 Successful pharmacies rely on RMS systems. 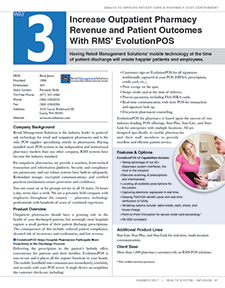 More independent pharmacies choose RMS POS systems than any other � for profitability, efficiency and reliability. Whatever the size of your pharmacy, we have you covered. 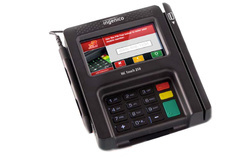 Meet EvolutionPOS�-- your new portable register. 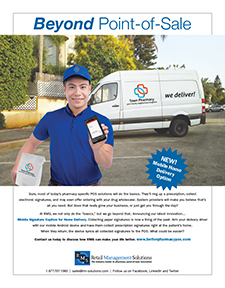 Deliver prescriptions anywhere with EvolutionPOS 3G. Designed with clinic and apothecary pharmacies in mind, Star-Lite is the perfect fit if your focus is prescription tracking and workflow completion. 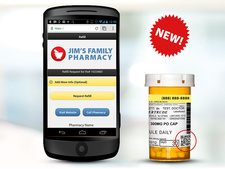 Scan prescriptions and OTC�s and interface with most pharmacy management systems.Process credit/debit/FSA cards as well as online check verification.Capture signatures for controlled substances, HIPAA, safety caps, third-party and more. 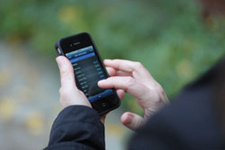 Additional features include biometric log-in, daily bank deposit and end-of day reporting. 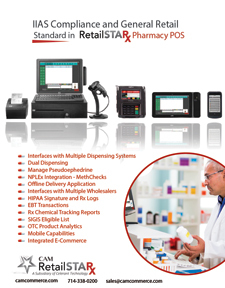 The most robust pharmacy POS system in the industry. Star-Plus builds on Star-Lite, adding inventory control, wholesaler interfaces for price updates, purchase orders and advanced reporting. On the marketing side, label and sign making is included, along with a robust customer loyalty program, gift cards (including major national brands), merchandise refund cards and promotional event management. For the multi-store and chain environment, Star-Link unifies information management across multiple sites.You specify the degree to which products, pricing and ordering are managed, whether centralized or localized at store level. The system eliminates repetition at each site, while allowing for local changes when necessary. Centralized A/R management, shared product files, and secure web-based multi-store reports accessible from anyplace you have internet access. All RMS systems meet or exceed all applicable industry standards and regulations. Our team is the largest, most experienced pharmacy POS staff in the nation, with 24/7 support across all North American time zones. Both phone and live chat support is available to ensure the best customer service and support experience in the industry. Please click on the REQUEST INFORMATION button below or call us toll free at 877-767-1060 to discuss your needs further. Pharmacies - that's all we work with, so we understand that your point-of-sale system makes the biggest technology impression on your customers. When things don't go your way, you need a POS partner you can rely on. 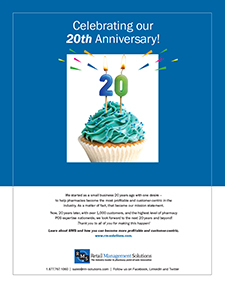 Celebrating our 20th year working with pharmacies. 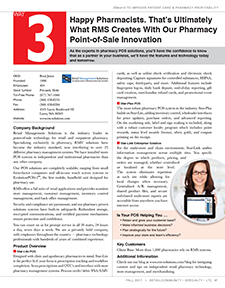 See why over 1,000 pharmacies depend on us as the experts in pharmacy point-of-sale innovation! 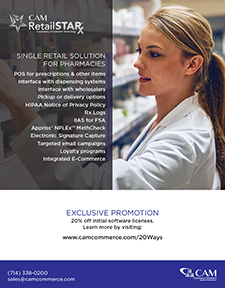 CAM Commerce's RetailSTARx is a complete software solution for pharmacies with integrations to dispensing and wholesale systems - bringing together your pharmacy and retail operations, seamlessly. 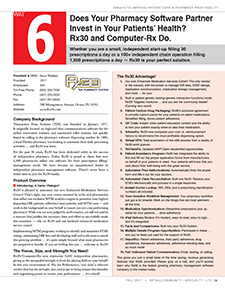 Whether you are a small, independent start-up filling 30 prescriptions a day or a 100+ independent chain operation filling 1,500 prescriptions a day - Rx30 is your perfect solution. 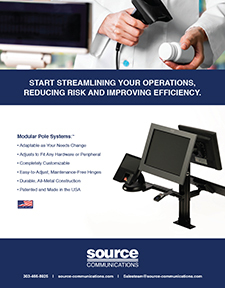 With our Modular Pole Systems, you can clear up dangerous counter clutter and focus on your customers, increasing your security and profitability. Extend the reach of your pharmacy, increase script volume, and improve customer satisfaction with the new RMS delivery solution! 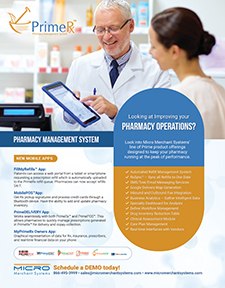 Providing innovative, robust, and easy-to-use pharmacy management, point-of-sale, and multi-site management solutions to community pharmacies across the United States. Serve your customers wherever they are, whether at the outpatient pharmacy, bedside during discharge, or at their home! 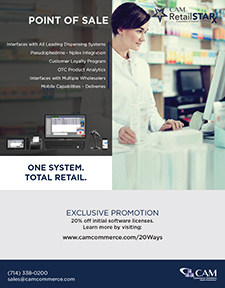 Manage your retail store, pharmacy, and website with one system. Pharmacies - that's all we work with. We understand your point-of-sale system makes a big technology impression on your customers. 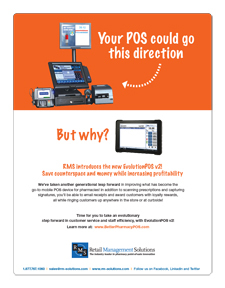 Easily go beyond the basics with our POS solutions. Our bedside discharge expertise coupled with our QIR certified training team will allow you and your IT department to sleep easier at night. As the experts in pharmacy POS solutions, you'll have the confidence to know that as a partner in your business, we'll have the features and technology today and tomorrow. Does Your Pharmacy Software Partner Invest in Your Patients' Health? Rx30 and Computer-Rx Do. 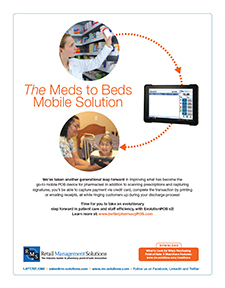 Having Retail Management Solutions' mobile technology at the time of patient discharge will create happier patients and employees. 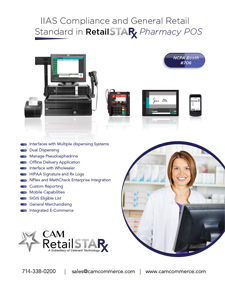 RetailSTARx is a leading retail software for single and multi-store pharmacies that manages every aspect of your pharmacy in a single platform - POS, dispensing and wholesale integrations, prescription delivery, compliance, CRM, e-commerce, and more. 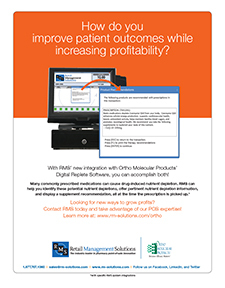 RMS is proud to announce our latest innovation - a robust integration with Ortho Molecular Product's Digital Replete Program - designed to help patient health and store bottom lines! 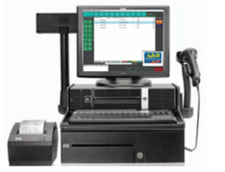 Get the most robust POS in the industry to improve customer service and increase profits. Business Management Systems to Help you Grow. 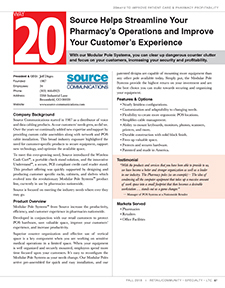 Streamline your pharmacy operation and increase your employee productivity. 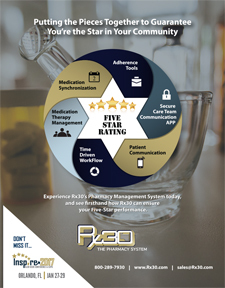 Experience Rx30's Pharmacy Management System today, and see firsthand how Rx30 can ensure your Five-Star performance. Announcing the new RMS Subscription Pricing Plan: buy your hardware and training upfront, and software starts at $79 a month! PrimeRx - Pharmacy Management System. Software without limits! 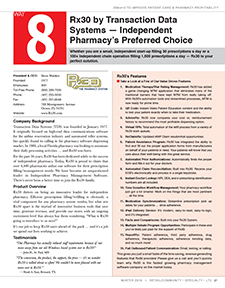 The retail pharmacy industry is one of the predominant users of POS terminals. 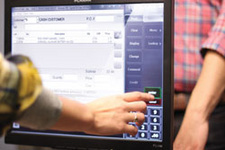 A Retail Point of Sales system typically includes a computer, monitor, cash drawer, receipt printer, customer display and a barcode scanner. It can also include an integrated credit card processing system, a signature capture device and a customer pin pad device and IIAS software. 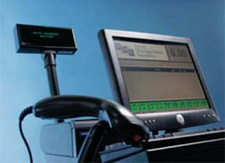 More and more POS monitors use touch-screen technology for ease of use and a computer is built in to the monitor chassis for what is referred to as an all-in-one unit. All-in-one POS units save valuable counter space for the retail pharmacy allowing for clutter-free check out and prescription verification. The POS system software can typically handle a myriad of customer based functions such as sales, returns, exchanges, layaways, gift cards, gift registries, customer loyalty programs, BOGO (buy one get one), quantity discounts, prescription processing, return of prescriptions to stock, patient tracking and much more. POS software can also allow for functions such as pre-planned promotional sales, manufacturer coupon validation, foreign currency handling and multiple payment types. The POS unit handles the sales to the consumer but it is only one part of the entire POS system used in a retail pharmacy. 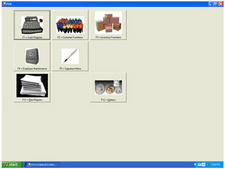 "Back-office" computers typically handle other functions of the POS system such as inventory control, purchasing, receiving and transferring of products and pharmaceuticals to and from other locations. Other typical functions of a POS system are to store sales information for reporting purposes, sales trends and cost/price/profit analysis. Customer information may be stored for receivables management, marketing purposes and specific buying analysis. 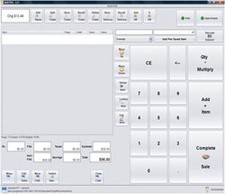 Many retail pharmacy POS systems include an accounting interface that "feeds" sales and cost of goods information to independent accounting applications. 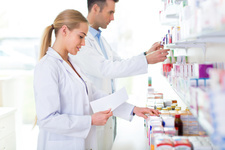 These functions can allow a pharmacy to track which items are selling the most in its OTC department. SXC�s suite of HBS product and services has been providing the pharmacy environment with state-of-the-art solution to help run your business efficiently, while maximizing your bottom line. Whether you are a part of a larger chain, an independent, or a mail order operation, HBS systems will automate many time-consuming activities to allow you more time to focus on your customers. 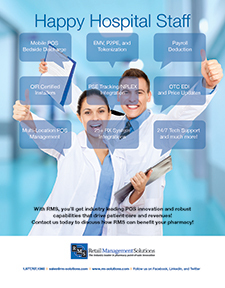 Retail Management Solutions is the industry leader in point of sale technology for retail pharmacy. We are a privately held company with employees throughout the United States, providing world-class service to customers in all 50 states, 24 hours a day, 7 days a week. Our team is made up of technology professionals specializing in the pharmacy industry with hundreds of years combined experience. 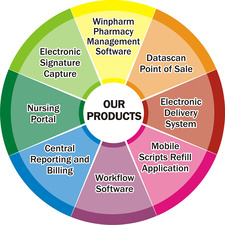 We are the only company in the industry focusing and specializing strictly on POS technology for the pharmacy market. Whether you own an apothecary or clinic pharmacy with little to no front end or a 15-register superstore, we have a solution for you. And, our enterprise solutions give you the power to centrally manage any number of sites. Pharmacy management becomes more challenging each year, from Internet security to complying with HIPAA regulations to Medicare Part D. At SRS, we build pharmacy systems that set the pace for the industry, making your business operate more efficiently and profitably, year after year. CAM Commerce Solutions retailing and e-tailing software solutions provide the capabilities for specialized softgoods or hardgoods retail, multi-store point of sale automation, integrated internet storefront for a seemless end-to-end solution, credit card, debit and/or gift card processing! 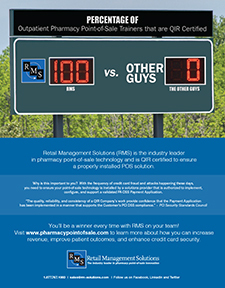 The Paladin Pharmacy Point of Sale solution helps Pharmacy Owners compete with the Superstores. 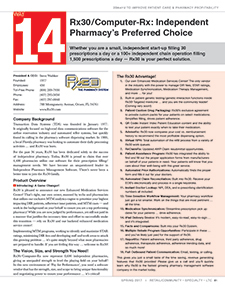 It also adds to your professional image, while improving your pharmacy's front-end profits and efficiency. Plus Paladin's low risk business model gives our customers confidence and security when choosing a point of sale system.